Dr. Ken Wright is a professor in Sport Hospitality at The University of Alabama. With over 42 years of professional experience in various sport industry settings (16 years in college athletics, 30+ years in academic, and 25 years in the Olympic Movement), Dr. Wright serves as Director of the College of Human Environmental Sciences (CHES) Sport Hospitality. He received his Doctor of Arts from Middle Tennessee State University (1984), Masters of Science from Syracuse University (1976), and a Bachelor of Science degree from Eastern Kentucky University (1974). Since 1990, Dr. Wright has been invited to present to sport industry professionals in China, Japan, Canada, and the United Kingdom. Additionally, Ken has served on the editorial board of the Journal of Sport Administration & Supervision, Journal of Athletic Training, Physical Therapy in Sport, Sports Medicine Update, National Center for Sport Safety PREPARE program, and United States Anti-Doping Agency Athletic Advantage online tutorial program. 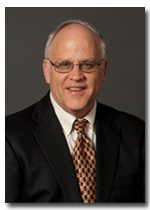 Dr. Wright has numerous publications to his credit including 100+ articles, three textbooks (Basic Athletic Training, Comprehensive Manual of Taping, Wrapping & Protective Devices, and Orthopaedic Immobilization Techniques, A Step-by-Step Guide for Casting and Splinting), and a computer assisted instructional program (Sports Injuries). Dr. Wright received the NATA Hall of Fame (2014), Sayers “Bud” Miller Distinguished Educator of the Year Award (2000), Distinguished Athletic Trainer Award (2006), and Athletic Trainer Service Award (1996) from the National Athletic Trainers’ Association (NATA) along with Outstanding Alumnus from the College of Health Sciences at Eastern Kentucky University (2001), and Academic Excellence Award from The University of Alabama College of Education (1996-97). Having served as Head Athletic Trainer at the University of North Carolina at Charlotte (1981-1988) and Morehead State University (1978-1981) and Assistant Athletic Trainer at Ohio University (1976-1978). Dr. Wright has been highly active in the United States Anti-Doping Agency, the United States Olympic Committee, and National Athletic Trainers’ Association. Also, he has worked at the 2012 Olympic Summer Games in London, England, 2010 Olympic and Paralympics Winter Games in Vancouver, Canada and the 2002 Olympic and Paralympics Winter Games in Salt Lake City, Utah.